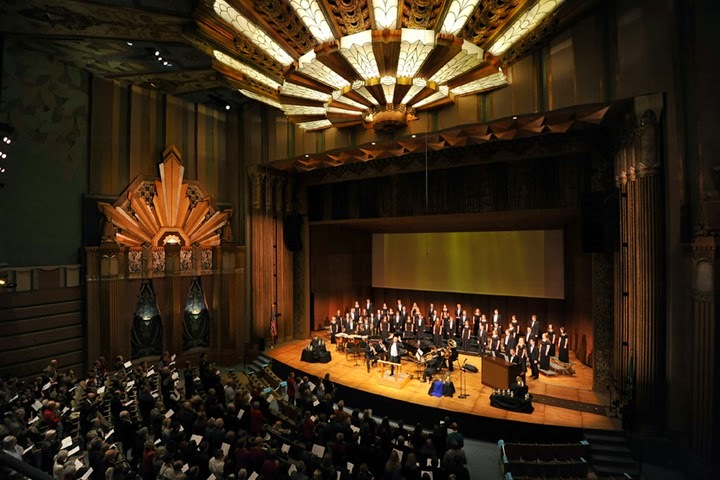 The 2014 Whitworth University Christmas Festival Concert, “Come, All Ye Faithful,” will take place in Seattle Dec. 6 and 7, and in Spokane Dec. 13 and 14. The concerts will feature more than 120 student-musicians, including members of the Whitworth Choir, the Whitworth Women’s Choir, the Whitworth Men’s Chorus and the Whitworth Chamber Singers, as well as student instrumentalists and narrators. For more information, please call (509) 777-3280. Saturday, Dec. 6, at 7:30 p.m.
Sunday, Dec. 7, at 2 p.m.
Saturday, Dec. 13, at 8 p.m.
Sunday, Dec. 14, at 3 p.m. The concert theme, “Come, All Ye Faithful,” will be elevated through choral works, readings, and traditional carols for audience and choirs. Presented without interruption, the concert will be concluded by candlelight. The Whitworth Choir and Whitworth Chamber Singers will perform under the direction of Hafso and Deborah Hansen, associate director of choral activities and chair of the music department. Hansen will also direct the Whitworth Women’s Choir. Scott Miller, director of voice studies, will direct the Whitworth Men’s Chorus. John Bodinger will serve as organist. Mary Trotter will serve as accompanist.